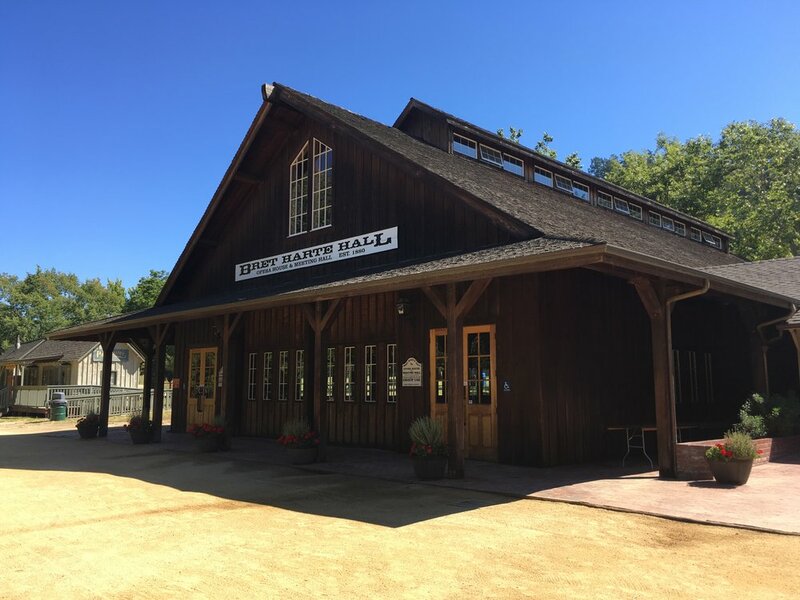 Roaring Camp Railroad in Felton, CA is a hidden gem in the Santa Cruz/Los Gatos mountains. They have a reception venue called Bret Harte Hall that can seat 250 people for dinner and it is quite charming. You can also get a Steam Train wedding package that includes a ceremony at the top of a hill. The bridal party and guests ride the train up to the ceremony site and come back down after the wedding for reception at the hall. How fun! On Friday October 7th, 2016, LOVE AND THEFT will be performing at the Opera House Saloon in Roseville, CA! I got my tickets right when they went on sale, but they still have some as of today. Tonight at Rodeo Club in San Jose, a special songwriter show will share some of the music from prolific writers Aaron Benward, Danny Myrick, Travis Howard and Regie Hamm. More than that, this show will also be part of a documentary filmed to explain why songwriting is disappearing as a profession. Come hear great music and stories, support real music and be part of history. Official Keith Urban After Party @ Rodeo Club w/ Maren Morris! Tomorrow night, July 28th, 2016, join us at Rodeo Club for the OFFICIAL Keith Urban After Party at Rodeo Club in San Jose! Maren Morris will be performing a set and there will be line dance lessons too. Doors open at 9pm with dance lessons at 9:30p. $10 at the door, 21+ show. Avon 39 Walk to End Breast Cancer 2016 is Tomorrow! With your help, we raised the minimum amount of $1,800 to help end breast cancer and support those affected by it. The donation page still works though! If you haven't had a chance to make your donation (even small ones count! ), then go to http://www.AdamWalk.com and it will take you to my official Avon Walk page. I will be posting on social media along the walk, so please join my channels to share the fun! Thank you to everyone who has supported my efforts for the last 6 years on Team KRTY! This was from my first walk in 2011. This coming weekend is the Santa Cruz American Music Festival! What a mouthful of words for a name, huh? The 21st Annual Dancin on the Avenue is coming up soon! Three music stages - will feature an eclectic mix of live music and entertainment. Toree McGee is playing on the Golden 1 Credit Union Stage (Corner of Willow & Lincoln). She starts at 3 pm with sets performed until 8 pm. The Round Table Pizza Community Stage will present performances by local dance groups. The Kids’ Court area will have lots of games and crafts for the family-friendliest part of the festival. This Sunday 4/24, 95.3 KRTY and Rodeo Club bring you Charles Kelley (of Lady Antebellum) and his brother Josh Kelley too. Tickets are $15 in advance from the KRTY office (M-F, 9a-5p) or $20 at the door, if supplies last. Cash only. PLUS, it was announced that you can get your Charles Kelley $15 tickets at the LOCASH show tonight, so bring an extra $15. ** UPDATE ** - Doors open at 6:30p, Dance lessons start at 7p and to find out dances for that night , check out (and bookmark) our Rodeo Club Concerts page. Show starts at 8p. This Thursday 4/21, join KRTY, Adam the Dancing Cowboy and all your friends at Rodeo Club for LOCASH! Opening the show is Chris Cavanaugh. Tickets are $10 advance at the KRTY offices during business hours (M-F, 9a-5p) or $15 at the door, if supplies last. This is a 21 and over show. LIVE Interview with Toree McGee - Join Us! This coming Tues 4/5 at 7pm, we are starting a new series of LIVE interviews on Blab with Country Artists. We are excited to announce the first interview is with local gal, Toree McGee! We will cover a range of topics about her career and upcoming projects. You can join us live on Blab. If you've never heard of the platform, it's a fun way to have 2-4 people talk about anything. We just happen to be talking Country Music! See you on Tuesday! If you listened to NASH FM 92.3 KSJO before today and expected to hear country this morning, you are not hearing things... 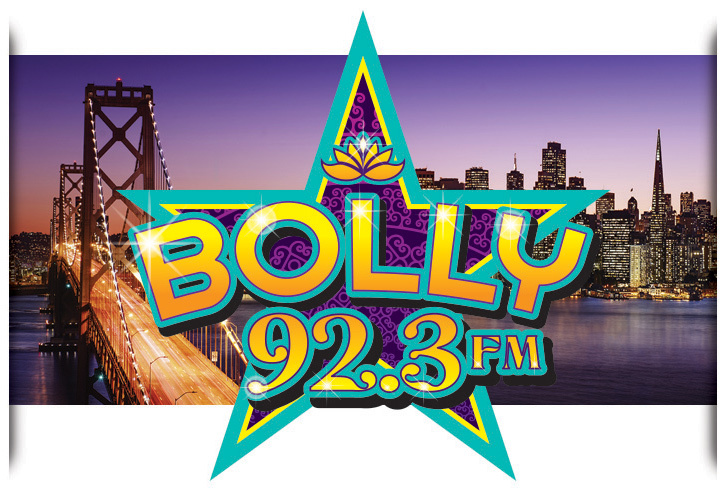 The format has flipped to Bolly 92.3 now playing Bollywood music. Here's the official story from All Access. Having Trouble Finding a Fun Activity for Your Team Building Event? Don't worry! Line dancing is a fun team building activity and we can bring it to your event. We bring the PA system, music and a fun instructor to your location and teach your team fun & easy line dance lessons. We start with super easy material and progress at a speed that makes sense for the people on your team. Drake White at Rodeo Club! We are proud to bring you another up and comer to Rodeo Club! Drake White will be playing on Wed 3/16. Tickets go on sale Mon 2/29 at the KRTY office (750 Story Rd, San Jose, CA) and are $10 each. Cash only, please. This is a 21+ only show. To see what line dances we will be learning before the Drake White show, check out our Rodeo Club Concerts page! This is the 6th year that I will be walking with Team KRTY to raise funds and awareness for the Avon 39 the Walk to End Breast Cancer! Not only am I asking you to help directly by donating, but also 10% from every gig that you book before the walk on July 23-24, 2016 to this awesome cause! Your event does not need to happen before the walk, it just needs to be booked before that. Have a FUN entertainment at your party AND support a worthy cause! Donate today or book today. What Direction Do I Face For Line Dances? What direction do i face? People just starting off with line dancing have tons of questions. 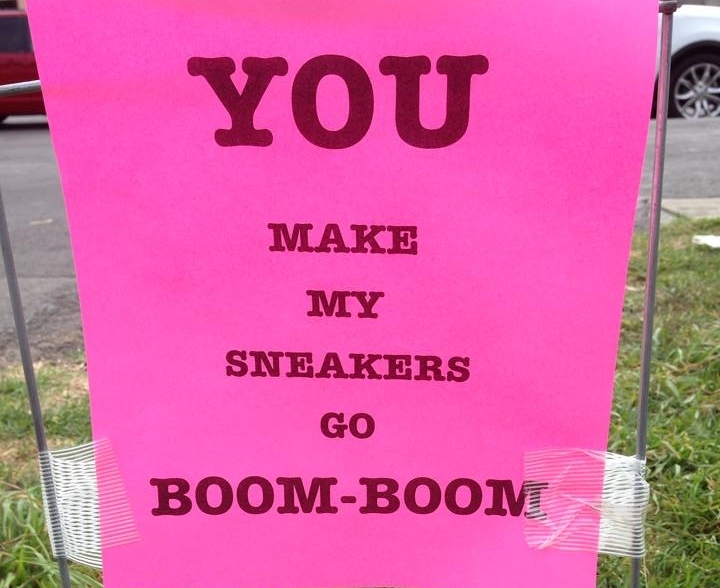 This is the first in a serious of dance floor etiquette posts. So what direction do I face for line dances? Well, the answer to that is not so easy. But, thankfully there are usually only three options and almost all dances face off facing the audience or side of the bar where most of those not dancing are sitting or standing. After the start there are those three options for how many walls the dance restarts facing. Four Wall Dance - This is the most common type and the dance usually restarts 1/4 turn and you end up facing each wall at least once, hence the 4 wall dance name. Two Wall Dance - This is the next common and you start facing the audience and then after finishing the sequence of steps, you end up facing away from the audience. Each start begins 180 degrees from the previous. One Wall Dance - There are very few line dances that only face one wall after each set of steps is finished. Really, all the matters in line dancing is that you're having fun while respecting those around you. So, if you forget a turn, no worries! Just get facing the same way as everyone else and begin with the next step that you recognize. Happy dancing! What if more than one dance is happening at the same time? What direction do we face for couples dances? Drinks on the dance floor. What line dance do we do to a particular song? Republic Nashville recording artists, A Thousand Horses, will be at Rodeo Club this coming Monday 9/28. I will be teaching line dance lessons starting at 7:30p and Chasin Crazy will open the show after that. You can get more details about the Rodeo Club concert tickets and line dancing here. The Tim McGraw Shotgun Rider concerts tonight (September 18th) at Shoreline Amphitheatre in Mountain View, CA and tomorrow (September 19th) at Irvine Meadows Amphitheater in Irvine, CA have been cancelled due to illness. Tim McGraw has been placed on vocal rest by his doctors. "This is so disappointing to me. We've had such a great summer and I was looking forward to this final weekend with the fans in California. I appreciate the support and look forward to coming back soon. The word 'can't' is just not in my DNA, if there was any way I could sing, I would do it," said McGraw. Also, 95.3 KRTY will be hosting Chase Bryant at the Broken Spoke tonight 9/18. These are just a few parts of Country Dance Etiquette and I hope you stay with me to learn about each one. This Saturday 9/27 come see Chris Cagle with Bucky Covington, Chris Janson & Maggie Rose at Ranch 1917! This is a brand new venue and I'm really excited to be part of the Pre Concert Roundup out in the parking lot! Free line dance lessons & party music go from 12 noon to 2:30 when the gates open for the concert. I put together some information about the venue and places to see here at the Ranch 1917 Concert page. Hope to see you there at noon for some fun and then an amazing show after!